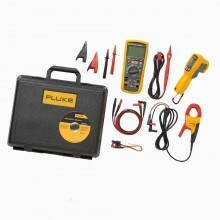 Includes: test lead set, crocodile clips and MIT310 User Manual. 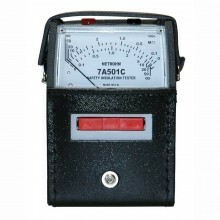 The MIT310 incorporates dual solid-state displays which simultaneously show the test results numerically, and in the form of a moving-arc bar graph that accurately simulates the operation of an analogue meter. 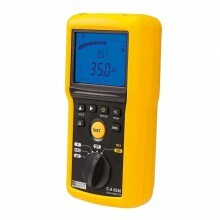 In addition to the basic features, the mid-range MIT310 adds a default voltmeter function, while the MIT320 supplements these facilities with an a backlit display, illuminated range panel, insulation limit alarm, resistance measurement, and an adjustable threshold for the continuity buzzer. 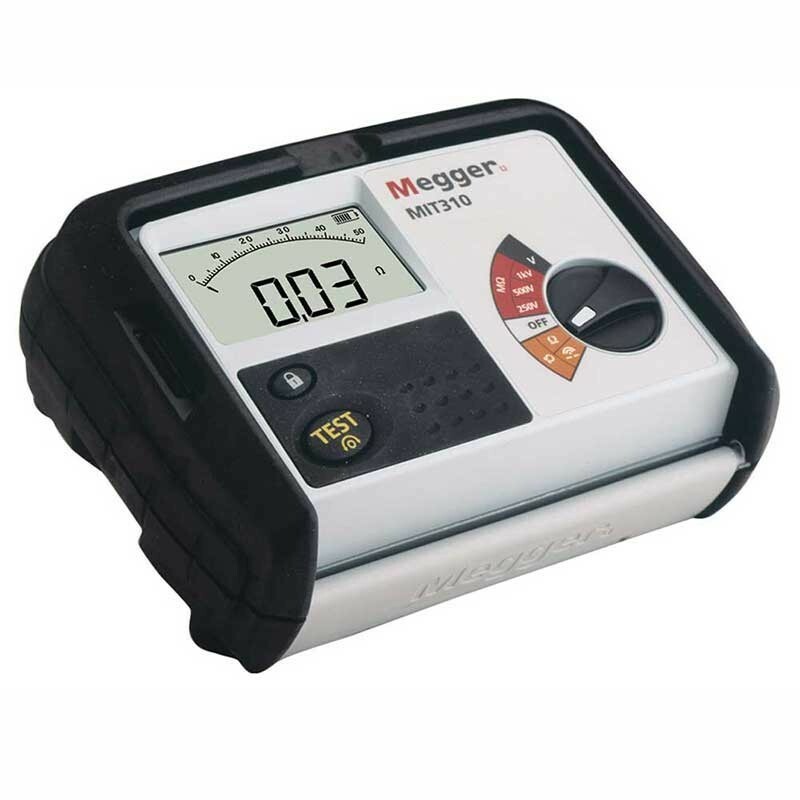 In line with other products in Megger's comprehensive contractor range, MIT300 insulation testers feature rugged construction, with an impact-resistant rubber-overmoulded case, and innovative circuitry which guarantees high accuracy combined with stability of calibration. 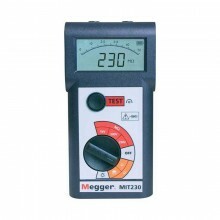 All instruments in the MIT300 range provide indication of insulation resistance up to 999Mohms, 200mA continuity testing, a fast-reacting continuity buzzer, and facilities for nulling the resistance of the test leads. 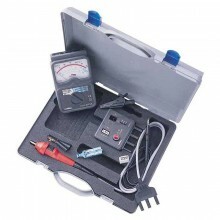 The MIT310 offers insulation test voltages of 250V, 500V and 1,000V. Digital and analogue LCD bar graph display. Megger Intelligent Safety System built in. 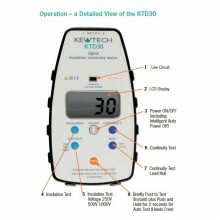 250 V, 500 V and 1000 V insulation testing. Test range of up to 999 MΩ. Continuity testing to 100 Ω to continuity buzzer. 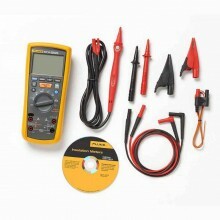 Insulation voltage 250 V & 500 V.
MIT300: 500 V, 250 V (DC). 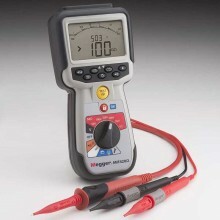 Measuring Range 10 kΩ to 999 MΩ on all ranges. Short Circuit Current 1.5 mA nominal. Test Current on Load 1mA at min. pass values of insulation (as specified in BS7671, HD 384 and IEC 364). 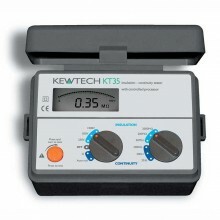 MIT310 A: <2.5% of scale length (or 30% of reading 200 kΩ to 10 MΩ). 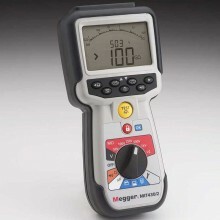 Measuring Range 0.01 Ω to 99.9 Ω (0-50 Ω on analogue scale). 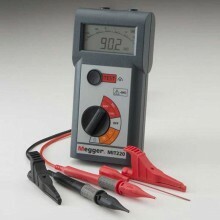 Open Circuit Voltage 5 V ± 1 V.
MIT310A: ±2.5% of scale length (or 30% of reading 0.2 to 2 kΩ). 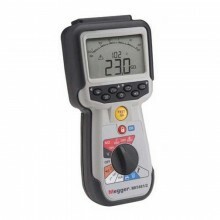 Open Circuit Voltage 1.5V ± 0.5 V.
MIT310A: 0 to 0.5 Ω.
MIT310: response time <100 ms. 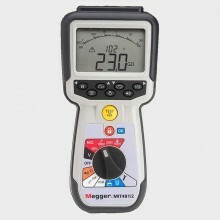 Measuring Range 10 Ω to 1 MΩ. Open Circuit Voltage 5 V.
Short Circuit Current 1.5 mA. 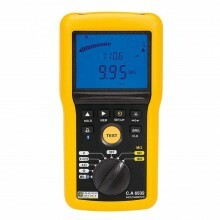 Accuracy (at 20°C) ±5 ± 2 digits up to 100 kΩ. 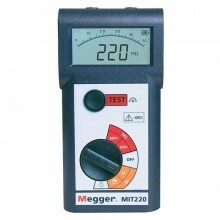 Measuring Range (MIT310A) 0 to 2 kΩ (refer to continuity). Measuring Range 0 to 600 V AC (50/60 Hz) or DC. 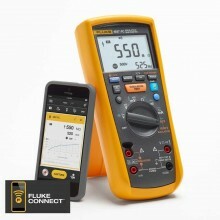 MIT310A: ±2.5% of scale length for 50/60 Hz. 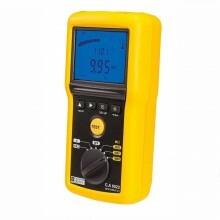 Temperature Coefficient <0.1°C per °C on all ranges. 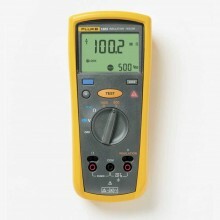 MIT310, 320, 330 >25 V AC or DC is applied display will operate as a voltmeter. MIT300 Beeps and flashes V on the display. 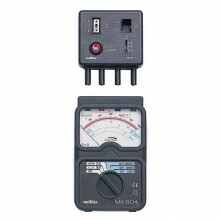 MIT310A All modes including OFF. 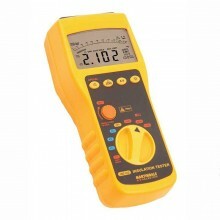 Test Inhibit If more than 50 V is detected testing will be inhibited. 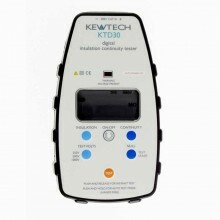 Rechargeable NiCd or NiMH cells may be used. 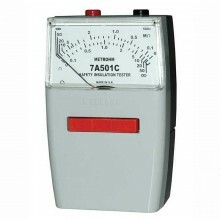 5000 consecutive tests (5 seconds per test) on any test using 2Ah batteries. 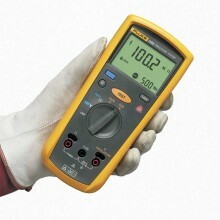 EMC In accordance with IEC61326-1. Dimensions 203 x 148 x 78 mm (8 x 5.7 x 3.2 inches). 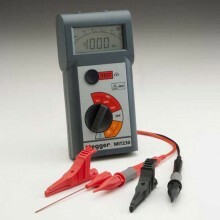 Megger MIT310 warranty 3 years. 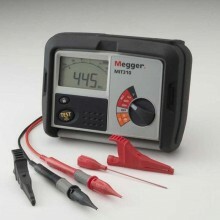 PDF Specifications of the Megger MIT300, MIT310, MIT310A, MIT320 & MIT330 Insulation & Continuity Testers.